Led by improvements in production-related indicators, the Chicago Fed National Activity Index returned to its historical average of zero in July, up from –0.70 in June. Three of the four broad categories of indicators that make up the index improved from June, but only the production and income category made a positive contribution to the index in July. 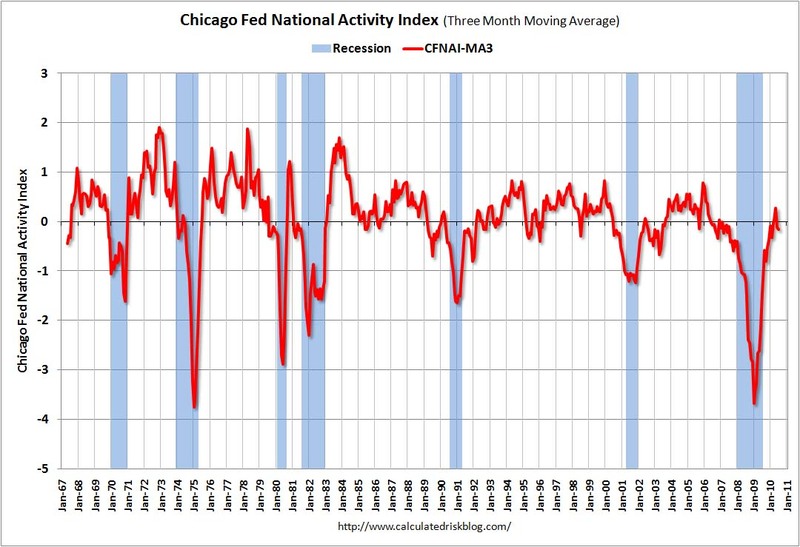 The index’s three-month moving average, CFNAI-MA3, edged lower to –0.17 in July from –0.12 in June. July’s CFNAI-MA3 suggests that growth in national economic activity was somewhat below its historical trend. With regard to inflation, the amount of economic slack reflected in the CFNAI-MA3 suggests subdued inflationary pressure from economic activity over the coming year.